Maximise visibility! For Day 7 Your artwork will appear on the homepage. This is the most visible location in the whole site. Everyone who views the homepage will see your ad. It also has a direct link to your profile, so that buyers can see your biography and, most importantly, a list of all your works of art. This service starts from the moment you place the order. Multiply art visibility by 10 times over unpromoted work! 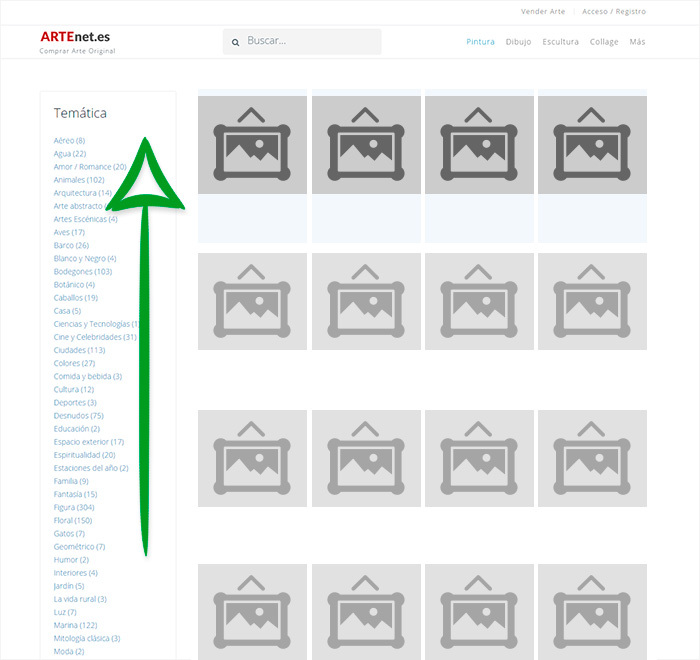 Your art will appear above work with a free subscription within the search results. 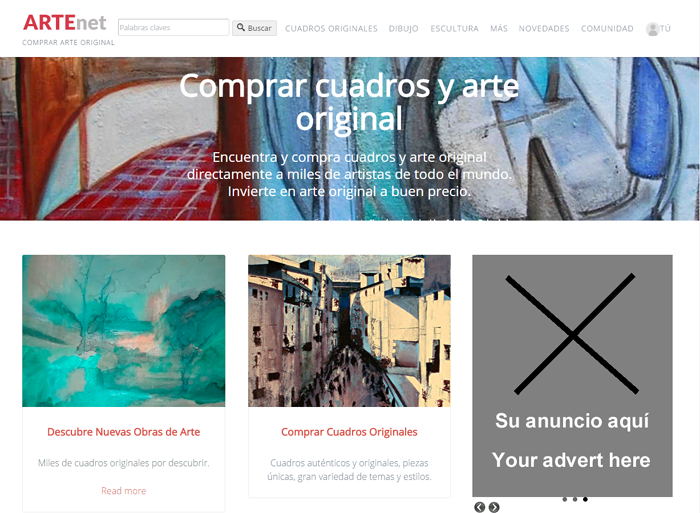 Appear on the home page of Artenet! No adverts will be placed around your work. Your work will be shown at the top of results for the duration of the listingand promotion begins from the moment you place your order. Multiply art visibility by 3 times over unpromoted work!